disclosure: I have received tickets to cover this event and to giveaway, but no other compensation. Opinions are all my own. I can't think of a better way to welcome summer than with a concert at Cleveland Museum of Modern Art and Mitchell’s Homemade Ice Cream! 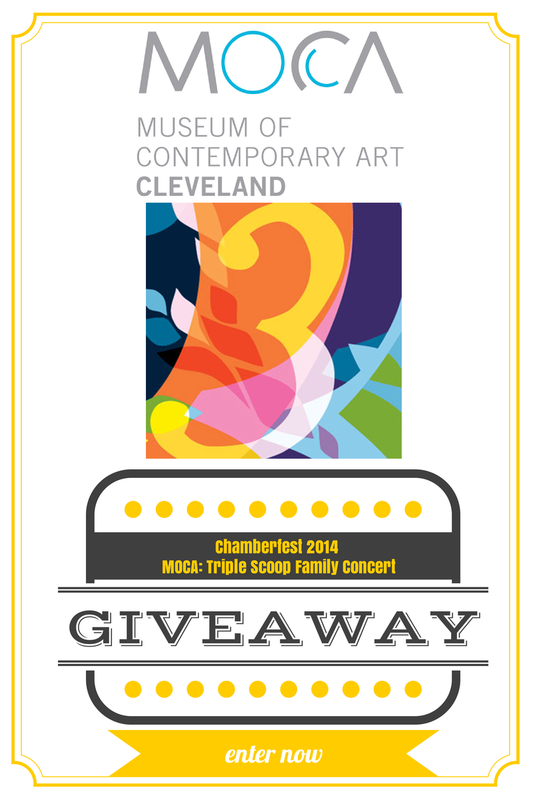 I am going to make this post short and sweet - enter to win four tickets to experience an hour of musical fun plus some of the best ice cream in Cleveland via rafflecopter! 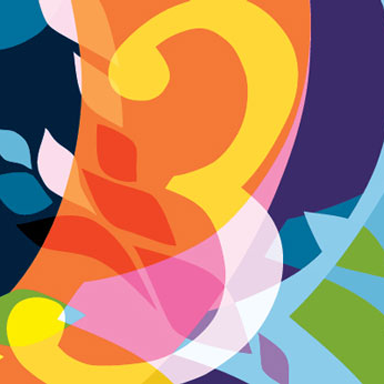 You may know the three musical giants referred to as the three B’s, but which composers make up two B’s and a Z? The answer lies in this interactive hour of musical fun, made exclusively for 6 to 12-year-olds and their grown-ups. Expect the unexpected, like Alex Klein (Grammy-Award winning host, oboist, and teacher extraordinaire) asking audience members to blow a double reed like a penalty whistle at a soccer game! A surprise group of other CFC musicians will join the festivities. Postlude: Ice cream scoops for all, compliments of Mitchell’s Homemade ice cream. And, if you are looking for a romantic summer date night, take a look at what MOCA is offering Saturday evening! Set amid MOCA’s dynamic architecture - a study in geometry - this concert will bring together shape, space, and sound. For the prelude, cellist Julie Albers and Patrick Castillo decode pieces of music inspired by numbers but separated by 200 years. The concert features Julie Albers (cello), Gabriel Cabezas (cello), Amy Schwartz Moretti (violin), and Dimitri Murrath (viola) performing two works: Kottos for solo cello by Iannis Xenakis, and Goldberg Variations, arranged for String Trio by J.S. Bach. Iannis Xenakis was a renowned architect and composer, mesmerized by mathematics. His Kottos, delicate yet starkly primitive, contrasts sharply with the crystal clear structure of Bach’s iconic Goldberg Variations - a work of transcendent beauty that relies on the number three as basic thematic material. 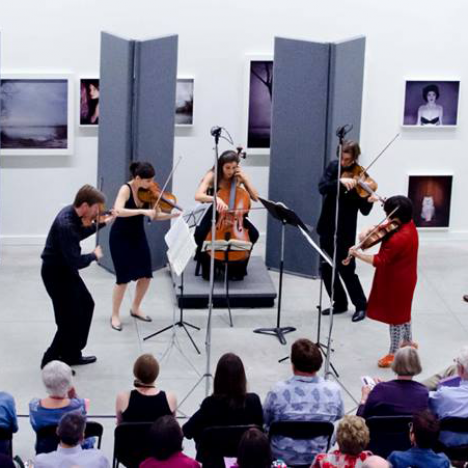 Presented by Chamberfest Cleveland. MOCA, founded in 1968, is a leading force in Northeast Ohio’s cultural scene and is recognized nationally and internationally for its presentation of the art and ideas of our time.